A track from the new Urban Dogs CD 'Bonefield', will appear as one of the 12 tracks featured on the free covermount CD that comes with the forthcoming issue of the superb 'VIVE LE ROCK' magazine. 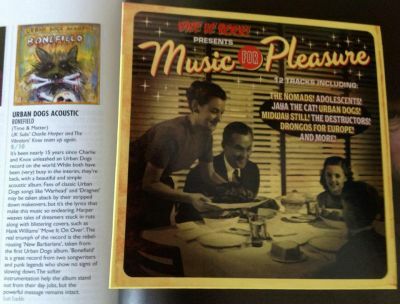 The Urban Dogs track will be 'Not In My Name'. 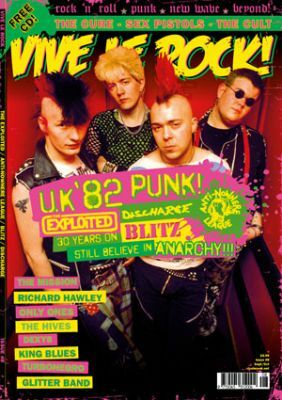 The new issue, due in the shops on 16th August 2012 takes a look at the peak of the second wave of punk, nowadays referred to as 'UK82' and has a roundtable discussion with the genre's leading lights 30 years on. The cover is pictured right - click it to enlarge to see what else is featured, and if you would like to pre-order this issue see the link below.